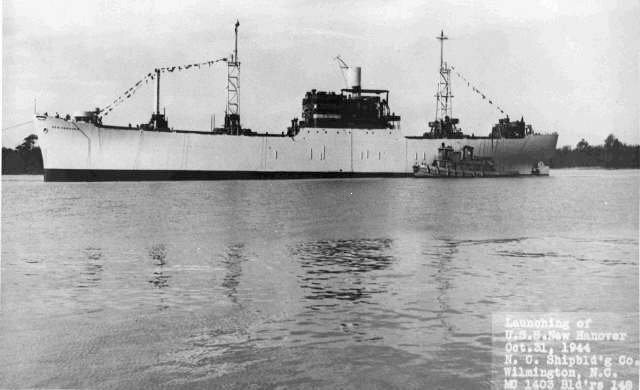 Laid down, 31 August 1944, as a Maritime Commission type (C2-S-AJ3) hull, under Maritime Commission contract (MC hull 1403) at North Carolina Shipbuilding Corp, Wilmington, N.C.
Decommissioned, 30 July 1946, at Norfolk VA. 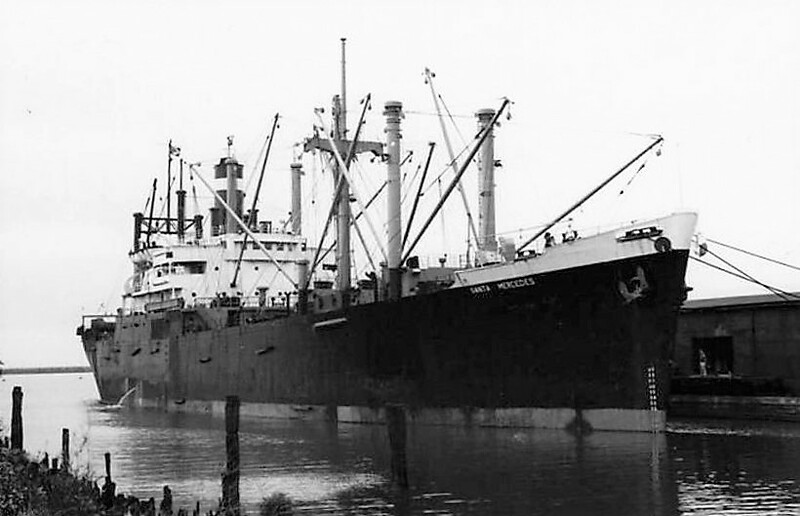 Returned to the Maritime Commission, 31 July 1946, at the National Defense Reserve Fleet, James River Group, Lee Hall, VA.
39k New Hanover (AKA-73) immediately after launching at North Carolina Shipbuilding Corp, Wilmington, N.C., 31 October 1944. 51k USS New Hanover (AKA-73) under way, date and location unknown. 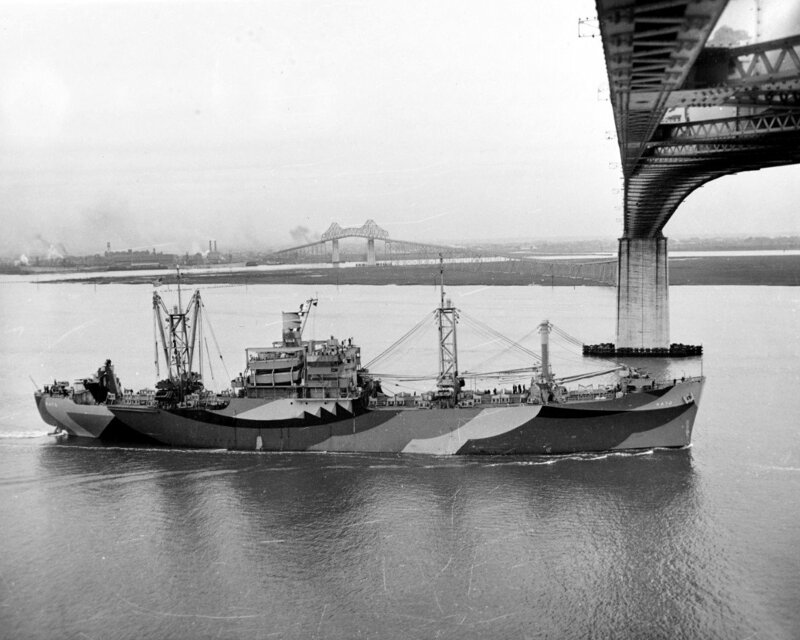 Note the classic "Dazzle" pattern that has been painted on the ship, revealing the extremes of the various designs prepared for the Measure 32 Medium Pattern System. 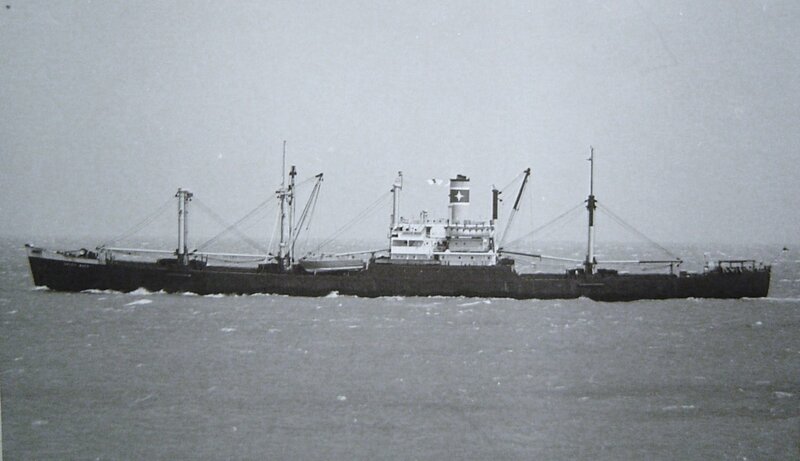 Merchant Service Grace Lines Central Gulf Lines Inc.